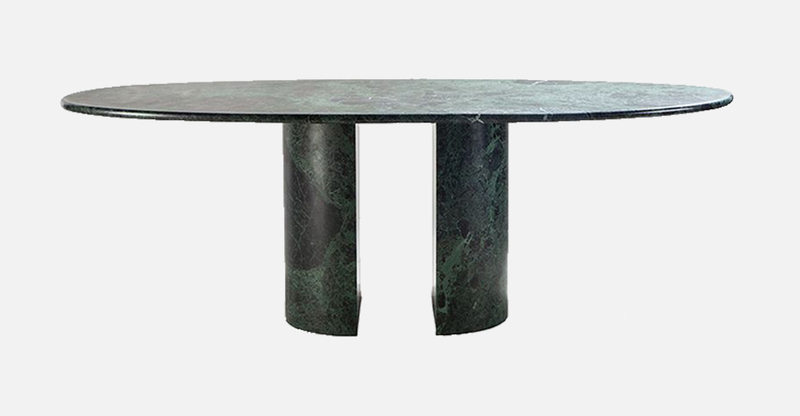 In this table, designed by Giulio Cappellini, the classic marble tradition is reinterpreted through a game of geometric shapes inspired by the stylistic language of the 80s. 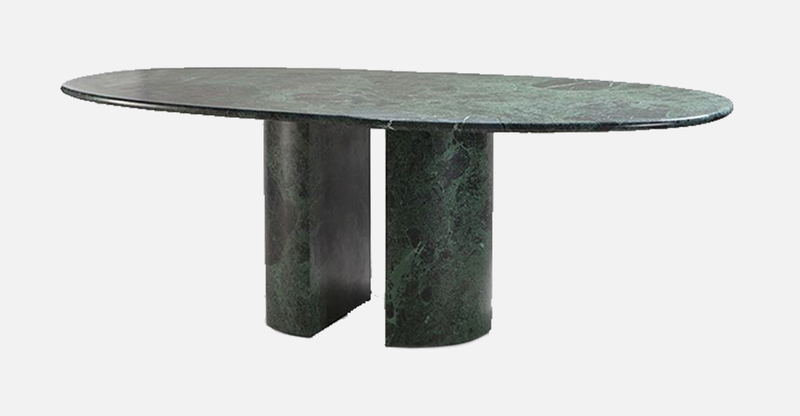 The sumptuous oval marble top, 3 cm thick, lies on two loose semicircular bases in the same material, which enhances the surface and confers a special tactile experience. 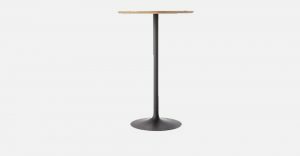 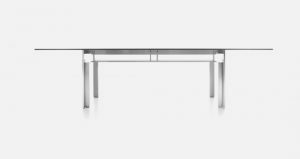 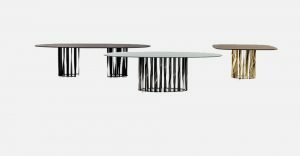 The table is available in three different versions: white Carrara marble, green Alps marble and light straw-yellow travertine.